Norway is a Scandinavian country mostly known for its gorgeous fjords that stretch out from the North Sea close to Denmark to the Arctic Ocean. Many tourists love to climb the rocky shores and take the most unbelievable pictures. The scenery will leave you awestruck. At the same time, Norway is an ideal place to see the northern lights. The Aurora Borealis is one of nature’s most beautiful creation. The Midnight Sun is also something that you should witness. It happens in the summer, and you can see how the sun never sets. It depends on how far north in Norway you go, but as you can imagine, the more you go north, the more prominent the phenomenon. Before going to Norway, you must check whether or not you are required to obtain a visa to enter the country. All visitors must get one. Norway is not a member of the European Union, but it is an EEA (European Economic Area) country. It is also in the Schengen Area. As a result, all travelers must obtain a Schengen Visa. There are two exceptions. The first one applies if you are from a European Union country or another EEA state. In that case, you are entitled to freedom of movement, and you can travel within the Union and the Schengen Area with no restrictions. The second exception is applicable if you travel from one of the countries that are in the visa waiver program according to Schengen’s visa policy. All you need is a valid passport that does not expire for another 6 months from the date of arrival in the Schengen Area. 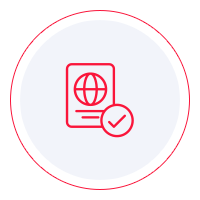 To learn if you need a visa or you are exempt, you can study the Schengen Area’s visa policy itself, but we recommend that you use iVisa’s Visa Checker instead. It is faster. Click on the Visa Checker button located in the top right corner of this page, select your nationality from the menu on the left, and choose Norway in the menu on the right. The result will tell you whether or not you need a Schengen visa, and if you do, you will be provided with a list of the nearest embassies where you can apply. Unfortunately, Schengen visas cannot be obtained online. Not yet, anyway. That is is why iVisa cannot process visa applications for you. Nevertheless, we are still able to be of assistance by providing you with some information. Our support service is available 24/7 and is completely free of charge. If you learn that you do need a Schengen Visa to visit Norway, you must establish which embassy to go to. Naturally, that would not be an issue, but a Schengen visa grants you access to all Schengen countries, not just one, in which case the visa policy of the Schengen Area establishes some rules as to which embassy to go to. So, if you wish to visit Norway alone, there is no dilemma. You must visit the Norwegian embassy. However, if you plan to visit multiple Schengen countries on one trip, you need to go to the embassy of the country that represents your primary destination. In case you do not have one and it cannot be established, you must go to the diplomatic mission of the country you visit first. We regret that we cannot help you more on this matter, but we hope that the information above points you in the right direction.